If you would like to get in touch about your classic car or would like to pop in to see why so many of our clients keep coming back to us please use the following details. 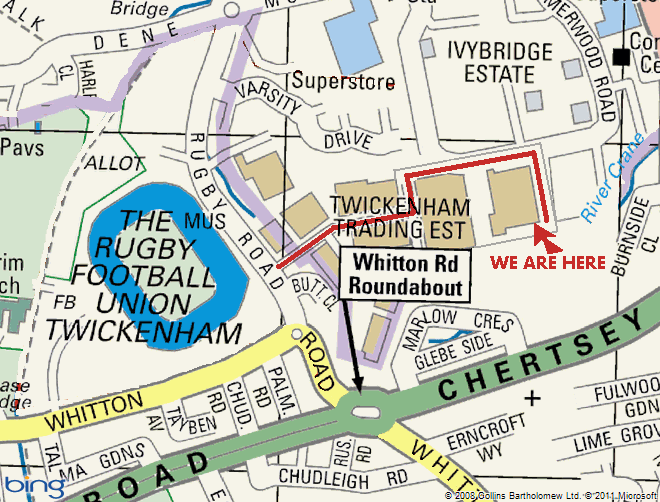 This location is just off the A316 Chertsey Road from the Whitton Road roundabout (Lexus/Currie Motors). The entrance to the trading estate is from Rugby Road to the east side of Twickenham rugby stadium, opposite the ticket office see map below and follow the red line).